What are 'The Wiggles' doing on Deanna Berry's iPhone? Find out. Selected by the Club as part of a four-way trade, Berry played her first season with the Demons. 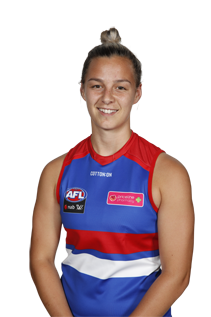 She received a 2017 NAB AFLW Rising Star nomination in round seven, gathering 11 disposals, taking three marks and kicking two goals.